Remarks: *proposed Construction* The 'raleigh Ii' Is A Master-down Floor Plan Featuring 3 Spacious Bedrooms, An Open Loft, And 2.5 Baths. 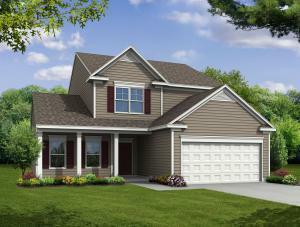 Two-story Great Room, Granite Counter-tops, Staggered Cabinets And Ge Appliances, Master Suite. 4th Bedroom On 2nd Floor, Additional Master Suite (on 2nd Floor), Fireplace, Covered Porch, Screened Porch, And/or Sunroom May Be Added To This Floor Plan. Base Price Includes Standard Features.